The big, hulking and silly Aston Martin Vantage V600 is not a car you think about very often. Or see for sale ever, really. But if you want something that’s rare, stupidly powerful and representative all that’s marvelous about British engineering, then kindly pay attention to what I have to tell you next. Unlike any other V600, the previous keeper commissioned Aston Martin Works to upgrade the instrumentation to monitor many more mechanical and ambient parameters. This also includes a superb replacement Supercharger boost gauge from a WW2 Spitfire. Right-o! Although, if I’m being honest, the Spitfire gauge is probably more visible beneath direct sunlight, unlike the original Aston gauge. 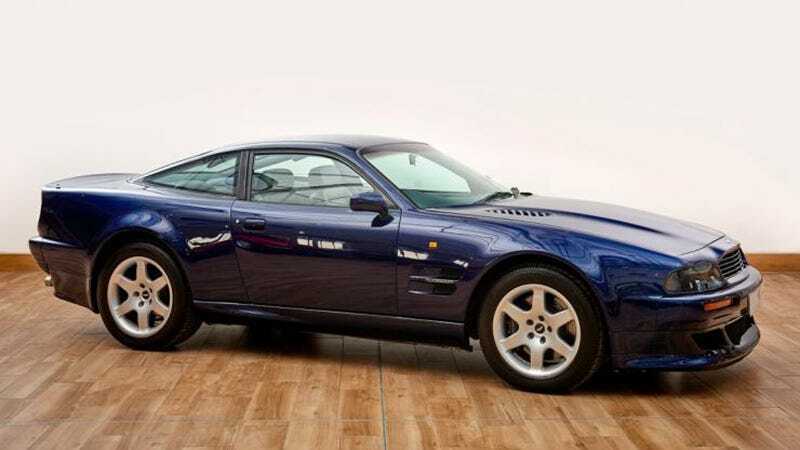 Anyway, you should buy this Aston and then bring it to Goodwood. You’ll be a smashing hit there. Update 2:57: Enhanced, sorta high-res gauge included. Hat tip to willzyx!